Over the past few weeks the Commonwealth has announced two changes to apprenticeship incentives that may well encourage more businesses to consider their options. The first, commencing on 1 July 2019, is to extend the Support for Adult Australian Apprentices payments to employers who take on an eligible apprentice aged 21 to 24 years. These incentives had previously restricted eligibility to mature aged apprentices aged 25 years and older, even though adult wages apply to new apprentices from the age of 21. This had created a barrier to employment for potential apprentices aged 21-24, and a disincentive for prospective employers. Eligible employers will receive a one-off payment of $4,000. The change recognises that the apprentice demographic is changing, with young people taking gap years and trying different options before making career decisions later in life. Ai Group has been lobbying the Commonwealth Government to remove this barrier, and is pleased to see the Government is listening. The second change, commencing on 1 January 2019, is to trial wage subsidies for employers who engage apprentices in traditional trades in regional and rural communities. This trial is designed to encourage small businesses to employ an additional apprentice above their normal intake. Employers that use group training arrangements are also eligible. The trial is capped at 1630 apprentices so if interested, you should act quickly. For further information contact an Apprenticeship Network Provider. They can be located via: www.australianapprenticeships.gov.au. Peter Canavan is a senior policy officer at Ai Group, contributing to education and training policy and managing projects including the Industry 4.0 Higher Apprenticeship project. He has previously managed national projects relating to apprenticeships. 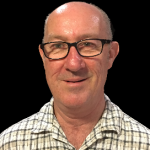 Peter has over 25 years experience in the vocational training sector, and has also managed projects for the Victorian Government, including apprenticeship projects and projects supporting workers retrenched from the automotive manufacturing sector.